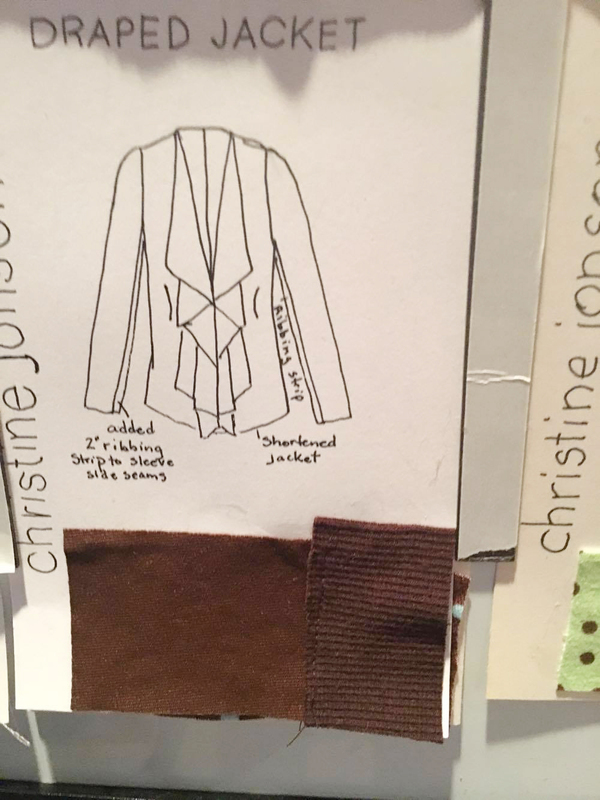 Creating an easy-to-sew and even easier-to-wear capsule wardrobe is fun and fast with Christine Jonson Patterns. 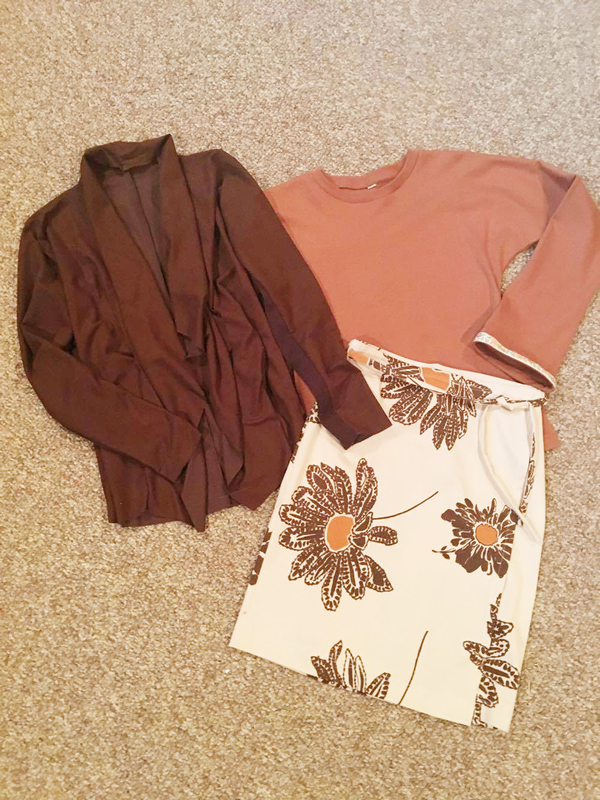 Christine Jonson Patterns fan Sharon creates a fabulous mix and match fall capsule wardrobe using seven sewing patterns. Let's explore Sharon's capsule from top to bottom. First, she has selected a palette of garments that works for fall - a mix of deep red, red prints, brown, dark green, white with a pop of bright green and turquoise. Each of these pieces is sewn in a comfortable knit fabric that is as easy to sew as it is to wear. Sharon plans hers on a board with cards. Each card has a swatch, a sketch with pattern name and number. Planning in this way helps you see your wardrobe requirements (tops, bottoms, etc.) and coordinate colors before you start sewing. You can create a capsule wardrobe quickly and easily with these sewing patterns. They require little in the way of complex alterations (raising the wrap or a full bust adjustment if you need it, is usually the only alteration needed when sewing these patterns with knit fabrics.) It's fast sewing, fun sewing with professional results - even if you're just a beginner! Each piece in Sharon's wardrobe can be combined with several others, creating a mix-and-match capsule that is both comfortable and stylish. Sew your own knit body shaper for DIY Shapewear!